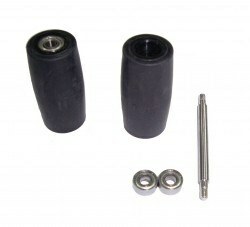 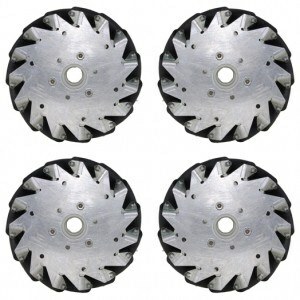 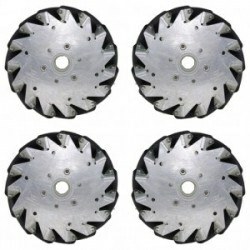 This set of (6 inch) 152mm Mecanum wheels including 4 pieces that are 2 right wheels and 2 left wheels. 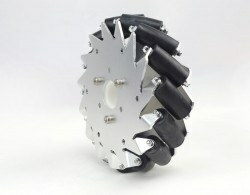 One right and left can be assembled on each side of your robot. 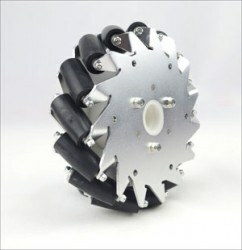 Each wheel is connected to its own, independent motor and driven independently. Every of the four wheels include a series of rollers attached to its circumference, these rollers having an axis of rotation at 45° to the plane parallel to the axis of rotation of the wheel. Mecanum wheel using a standard chssis shape and powering each wheel with a different motorr, which can be capable of moving in any direction, no need to change the directions the wheels spin. 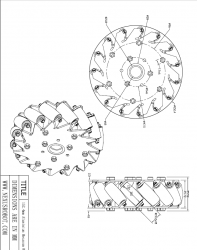 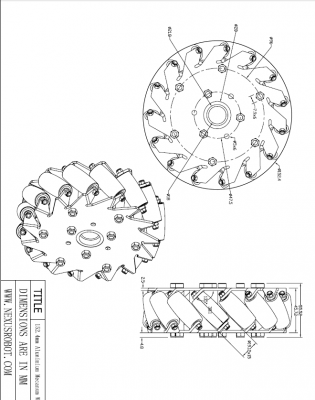 This design enables the wheel to propel your robot forward, backward and directly sideways.